Well, my husband and I are caving this Christmas, and getting our 13 year old a horse for Christmas. She has Ben riding since age 5, at different stables, and the current horse she rides will be hers in a few weeks. She could live on the farm, and can’t wait to surprise her. My husband is the spoiler, he would be happy to pay for everything, but I’m the bad guy who says she has to work on the weekends to put money toward the board. I completely agree with this article. I took lessons for years & then at 15 bought my horse Cody. I had to pay for half of all the expenses. That meant when all the other baggers at Safeway quite when they didn’t get the night off for prom, I didn’t have that luxury. Plus I didn’t have a boyfriend either – added bonus. I competed which instilled in me a desire to improve & learn more. I had strong women around me to look up to. I do think it is very important that you board your horse at a barn where there is a good trainer & lots of other kids. As a 41 year old, I keep my horses at home. But my life is very different now with a family. Daughters don’t take instruction from their parents well. And you need the social aspect too. Ah, to be young again! I had my horse Cody for 26 years & just this fall had to put him to sleep at age 30. He was my best friend. 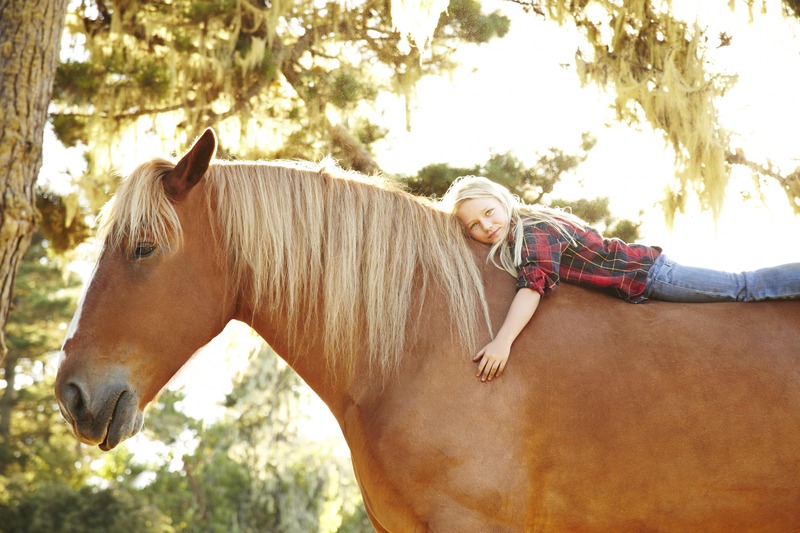 I am a mom of 2 boys now & I wonder if boys connect with horses the same way girls do? If you can swing it, let your daughter buy a horse. Great article!! Thanks Jessie! I appreciate it! wonderful article!!! I believe it is all true and then some. I have grown up with horses all of my life. my mom and I still train our horses and they definitely keep me humble I fall off all of the time because of a horse bucking I learn from them and move on. Wonderful article! I got my horse in my mid twenties. My daughter started riding at age 3 and never looked back. I truly credit him, her trainer and life in the barn for the amazing woman that she has become. I am 56 and he is 33 and the gifts he continues to give me are immeasurable. So parents while it is true you will be horse broke and sacrifice several vacations, everything in this article is true (not to mention no time for boys). I would do it all again in a heartbeat! I am 21 years old. Is it possible that I am too old to start riding horses? Or if I am motivated enough, do you think I could learn just as well as younger girls? I am really interested in starting to save up to buy a horse, and possibly try riding and get into the horse world. All of these statements make sense to me, it seems like having a pet such as a horse could be a really positive influence in my and anyone else’s life! Caroline you’re absolutely not too old! I think the benefits I mentioned really apply to anyone of any age. Sometimes, after I haven’t ridden for a while, I’m still surprised to see how much more confident I feel, just in one ride. And I’m 29! So it’s always a good thing 🙂 Start riding, never too old! Of course, the muscle memory for it to feel “natural” for you will take as long as it does for kids to learn, but that’s a natural process no matter what you’re learning. You might start by trying a few different riding styles that interest you and see which one feels like a good fit — and which barn feels like a good fit too. Good luck, go for it!